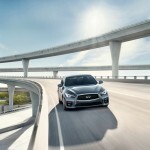 Infiniti has recently announced the availability of the all-new 2016 Infiniti Q50 in the United States, with the cheapest version to cost $33,950. 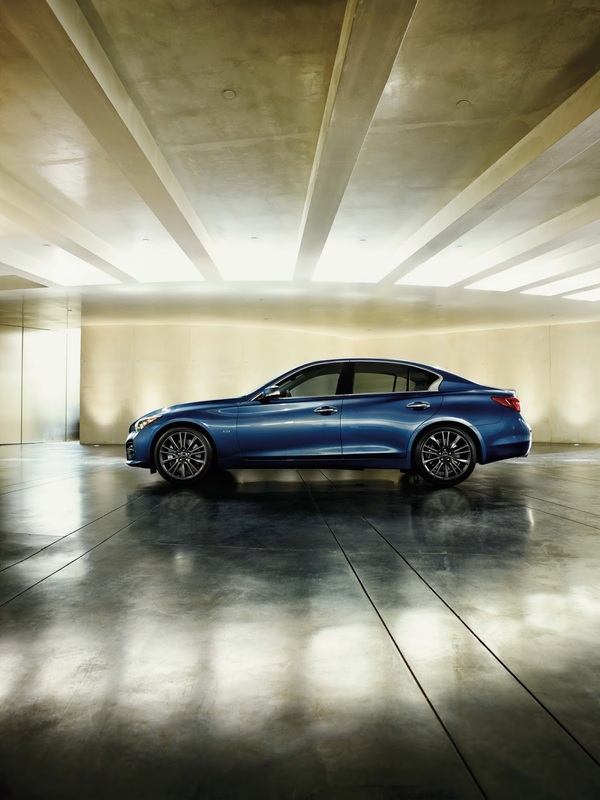 We are dealing with the entry-level Q50 2.0t, closely followed by the Q50 2.0t Premium, available from $37,650. 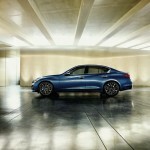 A hybrid version of the latter will be also offered at $47,050. 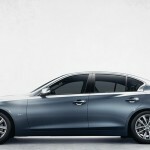 In terms of visuals, the entry-level Q50 2.0t comes with LED headlights as standard and 17-inch alloys, while the cabin features eight-way power front seats, six-speaker audio system, aluminum trim, leatherette upholstery, the Infiniti InTouch infotainment system or the dual-zone climate control system. 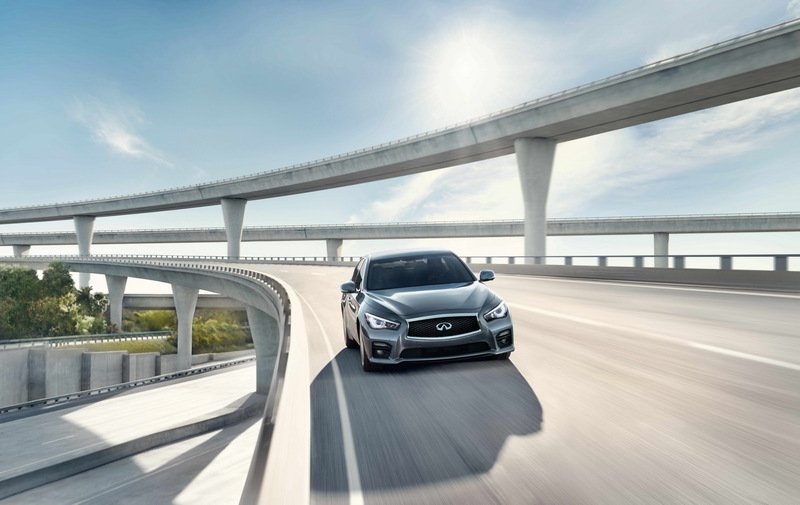 Under the hood, the Q50 packs a 2.0-liter four-cylinder with 208 horsepower and 258 lb-ft of torque, hooked to a seven-speed auto. The power is sent to all four corners. 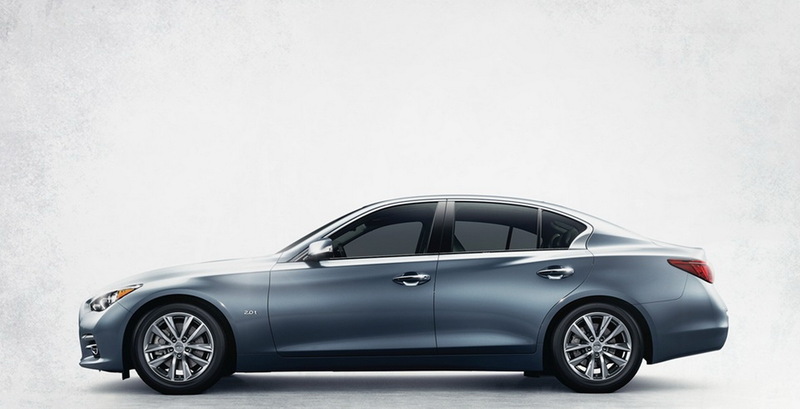 The 2016 Q50 20.t Premium adds heated steering wheel, the HomeLink universal transceiver, 14-speaker Bose system and a few more. 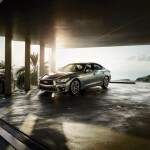 The same 2.0-liter turbocharged engine is found underneath. 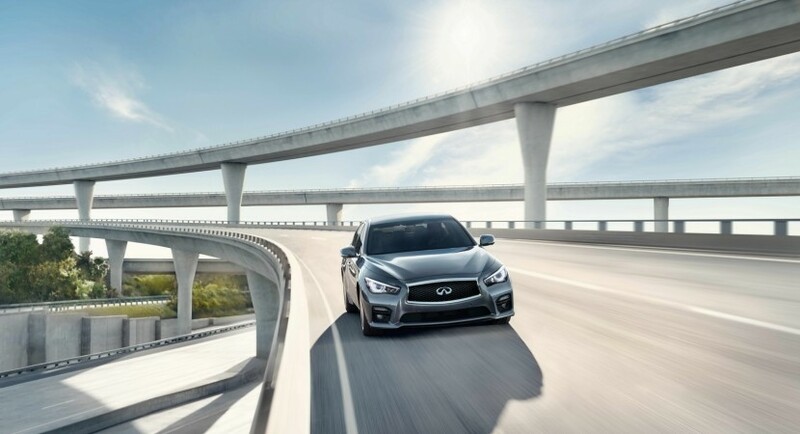 Finally, the Q50 Hybrid Premium uses a 3.5-liter V6 engine along with an electric motor, squeezing out a good 350 horsepower, being send to the front axle. 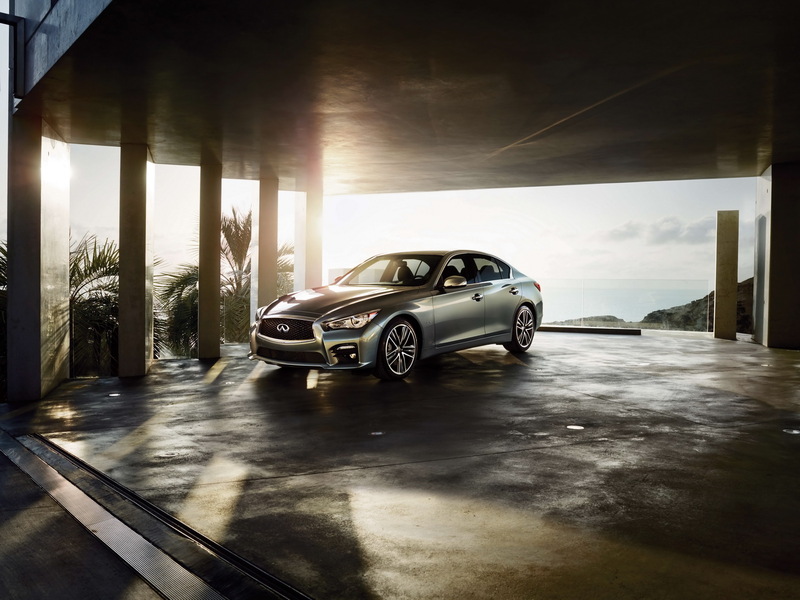 An all-wheel drive system is also available for an additional $2.000. 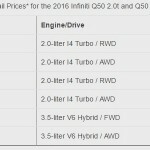 The full prices with the AWD and FWD options are shown in the photo gallery below.